Don’t let this weekend’s mini ‘beast from the east’ put you off getting out and about. In the spirit of St. Patricks, grab anything green, white and gold for a weekend of St. Patrick’s Day fun and frolics and enjoy the craic! A definite weekend highlight will be the St. Patrick’s Day Parade on Sunday. Watch out for flamboyant floats, marching bands and traditional jigs on the streets of London. The procession departs from Hyde Park Corner at midday and snakes down Piccadilly on a 1.5 mile route via The Ritz, Piccadilly Circus and on to Whitehall. Elsewhere, check out the three-day St Patrick’s Day Festival in Trafalgar Square. 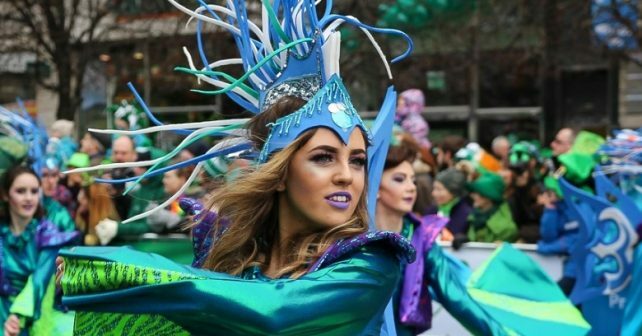 There’ll be household Irish music acts, craft stalls, Irish street food and a kid-friendly zone too with magicians, stilt-walkers and story tellers. Dublin community choir, traditional music from London Lasses and Chris O’Malley will also play across the three days as well as a moving tribute to the wondrous Dolores O’Riordan of the Cranberries who died earlier this year. There’ll be plenty of other things to enjoy over the weekend including parties, street markets and ceilidh displays. Not forgetting the odd pint or two of the black stuff! Both are FREE and unticketed. Where better to celebrate the patron saint of Ireland than with a Father Ted-A-Thon in South London. 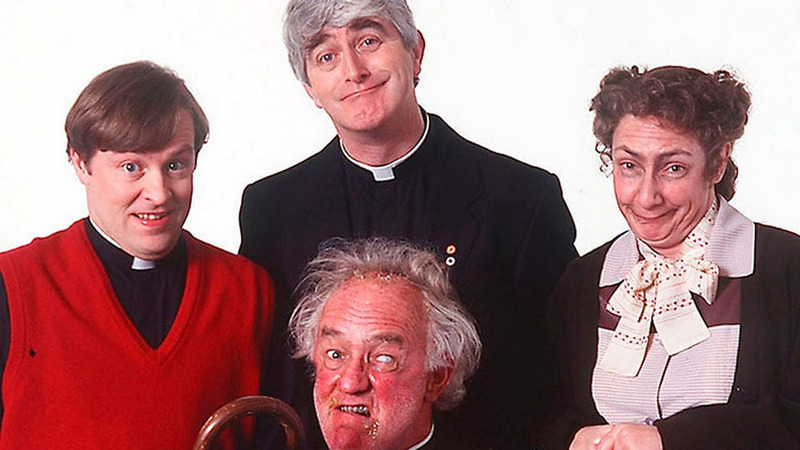 The fab tribute night at The Grand in Clapham will be screening three episodes of the cult comedy on the big screen (visitors can vote for their favourite show), prizes for best dressed priests or nun outfits plus you can tuck in to Mrs Doyle’s cakes, popcorn and snacks too. Tickets are from just a QUID and include entry to the Irish-themed 90s pop party til late. You’ll love it… ah, go on, go on, go on! For a reasonably-priced chance to add to the wardrobe, mantelpieces and antique collections try Pop-Up Vintage. The huge market will feature loads of antiquey accessories including one-off jewellery pieces, mid century furniture and assorted vintage clothes for him and her. There’ll also be live entertainment, a tea room and booze if all that browsing gives you a thirst. 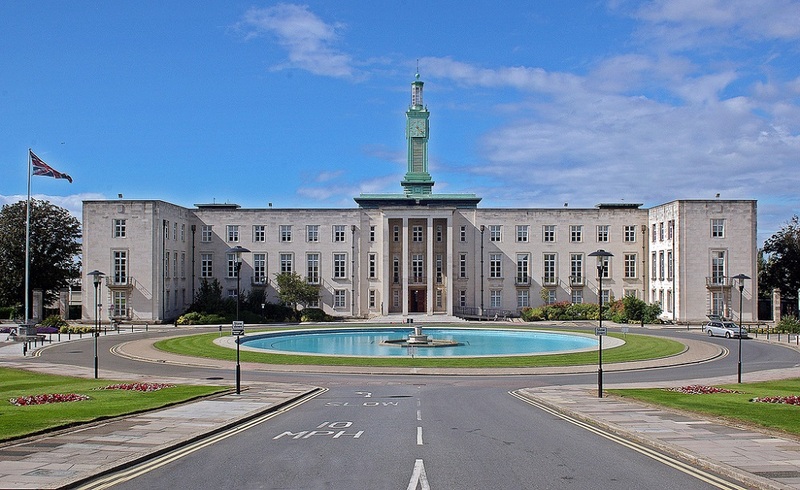 This season’s pop up will be at the stunning art deco Walthamstow Assembly Hall (above), maybe the most incredible building most Londoners have never heard of! 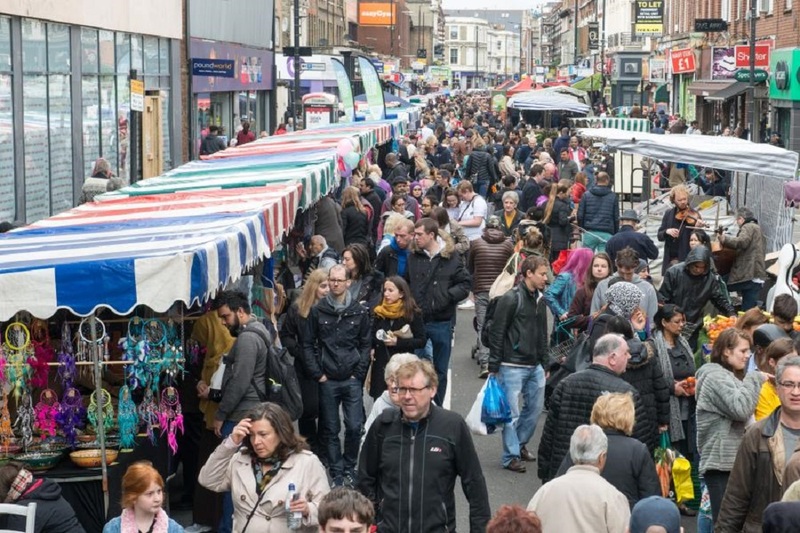 If you’re fed up with foggy fumes messing up your market going, you’ll love Fulham’s North End Road Market this Saturday, it’s going traffic free! The council are shutting some local roads meaning pedestrians can enjoy a browse and rummage without loud lorries ruining the fun. Shoppers can check out more than 150 stalls who’ll be opening for the big day. Look out for bargain knick-knacks from around the world, specialist clothing stands, hot drinks and street food. As you do! Hubble bubble toil and trouble… if you and your black cat are at a loose end, lose the broom and head for a FREE Witches Tour. 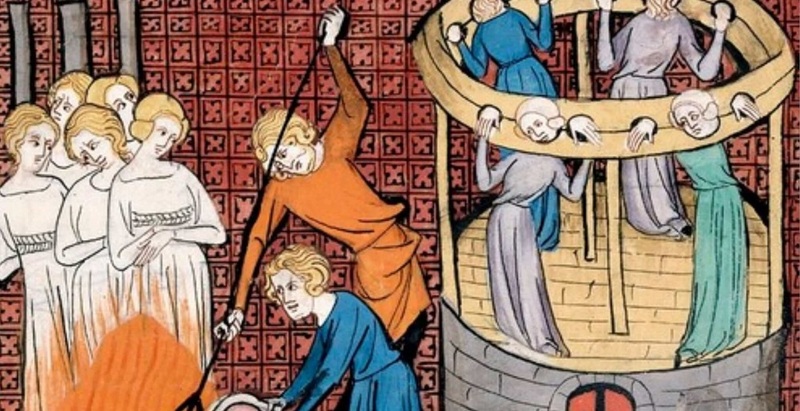 Hear about bizarre anecdotes, black magic practices and the torturing and executing of those accused of witchcraft. The eerie and fascinating two-hour stroll takes in the Tower of London, the ancient Roman Wall as well as St Paul’s Cathedral. The tour is “pay what you can”.